Hello Quick Quotes readers, Alicia here today with a card I made using 3 different Quick Quotes collections: 49 Shades of Grey, Whistlin' Dixie, and Anchors Aweigh. All of the new collections are so complimentary. I created this card after the Paris attacks and wanted to express my mourning for the pain and loss. I cut the Eiffel Tower in the darkest shade of 49 Shades of Grey. 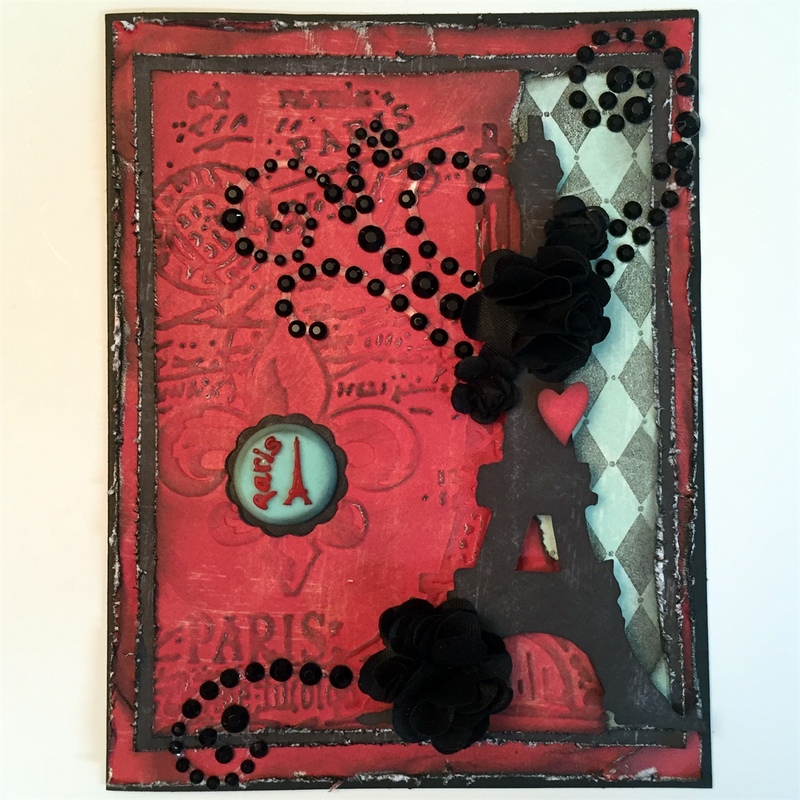 I layered it slightly off center from the embossed Eiffel Tower. I used the Prima button to choose the other colors for the card. The embossing folder had a harlequin design on the side which I tore off and layered Anchors Aweigh 100 Paper stamped with Midnight Confessions PowderPuff Chalking Ink and a harlequin stamp. I added a die cut layer behind the button to make it pop and lots of black flowers and bling. 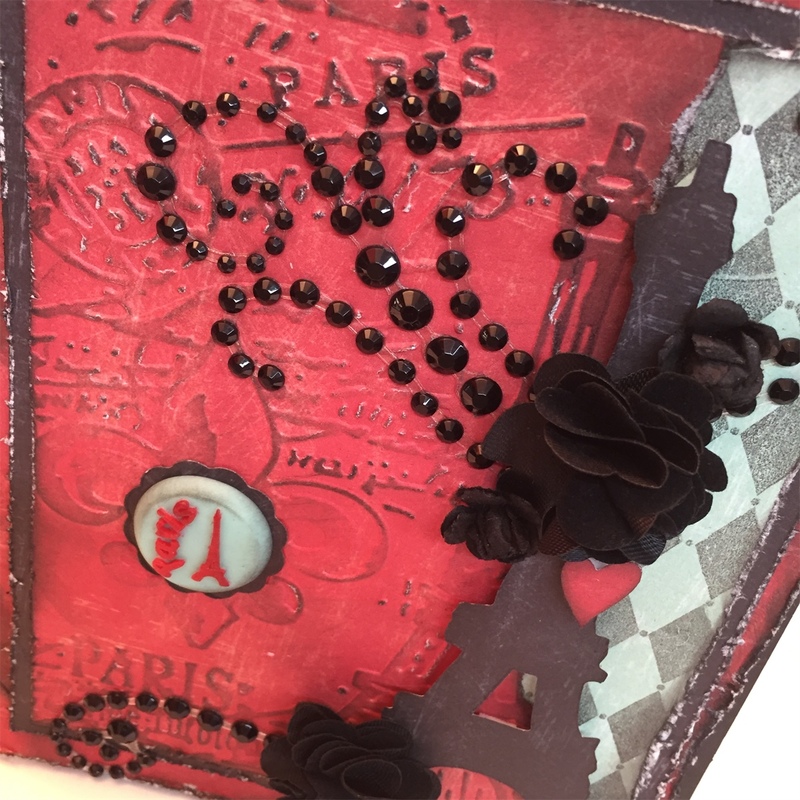 I heavily distressed the embossed layer with Midnight Confessions PowderPuff Chalking Ink making sure to hit the word Paris to make it stand out. Creating a card didn't help France but it did help me digest and reflect on the tragedies and express my sympathy to the people of France. My heart and thoughts are with them during this scary time.